A walker was rescued after falling more than 30ft into a Lake District gill. The 70-year-old was walking up Cat Gill near Walla Crag on Thursday when he slipped and fell 10m into the steep ravine. The walker injured his head and shoulder in the incident. Keswick Mountain Rescue Team was called out about 1.15pm and members were quickly on the scene. They assessed the man’s injuries and carried out first aid in the gill. A team spokesperson said: “While this was in progress, other team members rigged a hauling system to enable the stretcher to be hauled out of the gill back on to the path. 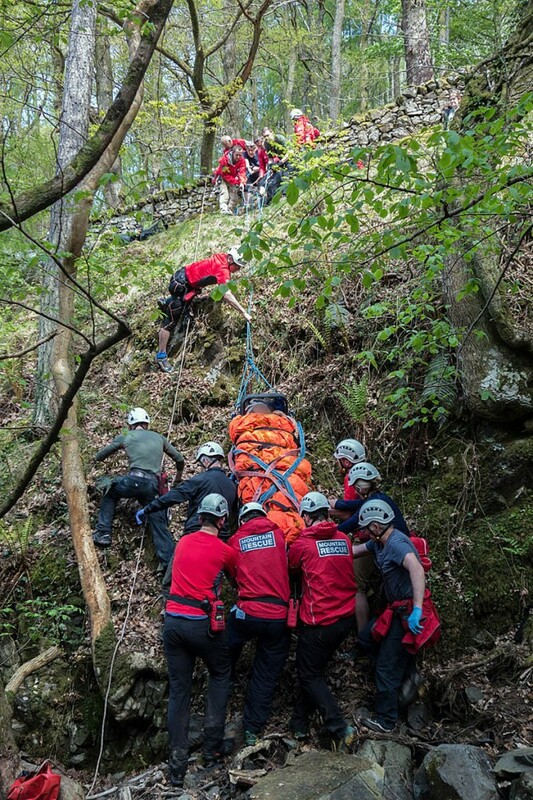 The rescue lasted almost 1¾ hours and involved 20 volunteers from Keswick MRT.